Nuance Pro, CPAP mask, BUY Nuance Nasal Pillow, Respironics Nasal Mask, Gel Mask, 1105160, 1105167. Mask with Fabric Frame & Headgear - SHIPS FREE! Mask with Gel Frame & Headgear - SHIPS FREE! 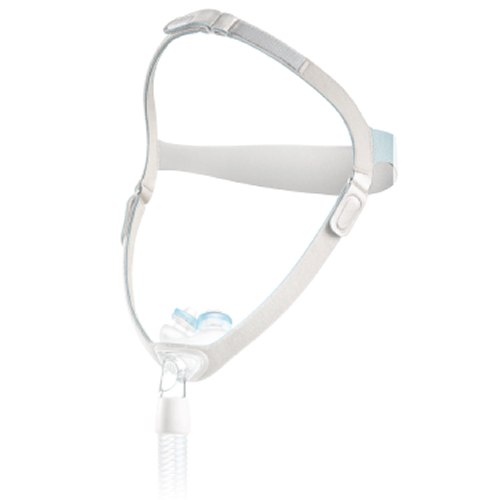 Nuance and Nuance Pro, manufactured by Philips Respironics, are the latest, greatest version of Respironics nasal masks for CPAP devices. These Nasal Masks come in two convenient designs. Choose from fabric headgear that is comfortable for sleeping and gel headgear that is non-slip and provides additional cushioning. 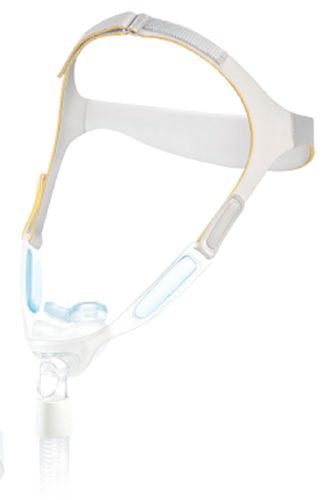 Respironics Nasal Masks feature a comfortable gel pillow. These Nasal Pillows are less likely to irritate nostrils than some other Nasal Pillows. Nuance and Nuance Pro nasal pillows will conform to different sized nostrils, creating an ideal seal.